And there we have it, a new weekly Superstar gift! 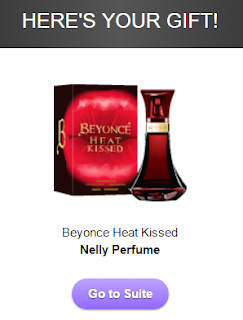 I definitely couldn't see that coming, but it's a lovely Beyonce Heat Kissed perfume from Nelly. I never actually understood the purpose of these perfumes other than display, but since it's free and very gorgeous, I reckon it's an awesome gift so grab one today while stocks last! What are your thoughts on the gift?